Subramanian Swamy now wants Arvind Subramanian sacked. 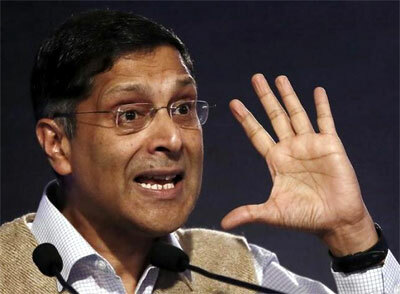 The Bharatiya Janata Party on Wednesday said it does not agree with its Rajya Sabha MP Subramanian Swamy's criticism of Chief Economic Adviser Arvind Subramanian and termed it as "completely his personal opinion." "The party does not agree with his views. This is completely his personal opinion," BJP national secretary Shrikant Sharma told a press conference after Dr Swamy demanded that the CEA be sacked. Dr Swamy had earlier launched a no-holds-barred attack on RBI Governor Raghuram Rajan. Asked about it, BJP President Amit Shah had said the party's position is articulated by him. Dr Rajan last week announced that he would not seek a second term.